Treasury 1860, Sun 18 Feb. The audience could have been forgiven for being a little unsure what to expect with this first performance of Anna Thomas’ first show at the Treasury 1860 (open for the Fringe for the first time ever this year), and what we actually got wasn’t exactly comedy, although it was often very funny. It’s a part-autobiography, part-confessional study of the wankier side of wine appreciation, complete with accompanying drinks (if you want them) – even though the last few might freeze in your throat as the tone shifts to the painfully real. Anna was a little nervous when she first appeared (to the tune of Roxette’s Dangerous), but soon loosened up and won the crowd over as she carefully played to everyone in the L-shaped area. With a ‘Wine Wankers Flight’ sextet of drinks to accompany her performance (for an extra $10), she proceeded to explain how she always envied the wanky side of wine appreciation, especially the use of words like ‘minerality’ and the like, as we proceeded to sip along. Noting that Riesling tastes “like wet hair” and another that shall not be named like “burnt arse”, Anna told her story, from her soul-sucking work in a big-time job, to the time she drove around a bunch of seriously wanky wine appreciators as they got hammered, to the extreme difficulty in being taken seriously as a woman in the corporate sphere and having to work three times as hard as a man. Shamefully two older blokes a few seats over from me talked over her during this part of the show, which only made what she said more powerful. By the time we got to the penultimate fifth wine (the Merlot), the tone daringly shifted to the personal crisis that changed her life and caused her to get out of her horrible profession and get into working at wineries, and it was impossible not to be moved – and suddenly stone cold sober. Surely one of the best of this Fringe’s new shows, this benefitted greatly from the gorgeous Treasury surroundings and Anna’s willingness to delve into the darkness. And cheers! 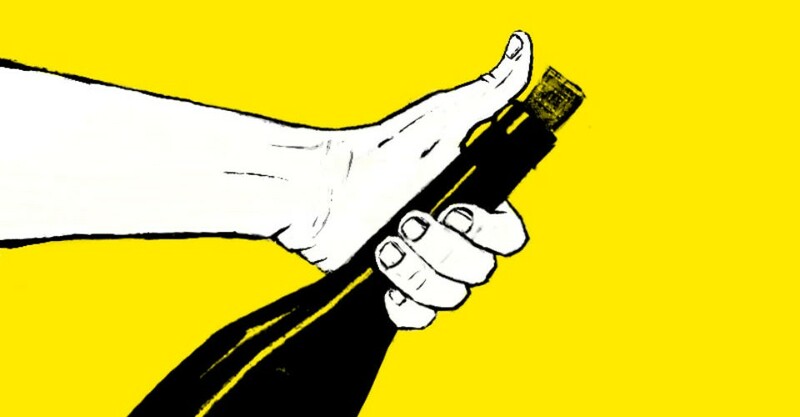 How To Drink Wine Like A Wanker continues at Treasury 1860 from 4pm until Sun 25 Mar. One of the best of this Fringe’s new shows!